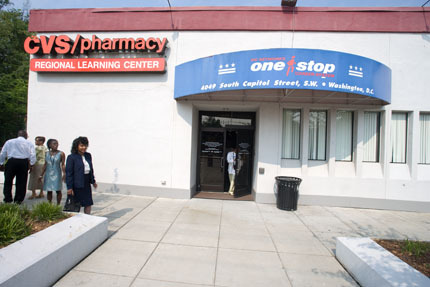 The assignment was to capture students engaging higher education learning centers, as well as fellowship opportunities at government institutions. 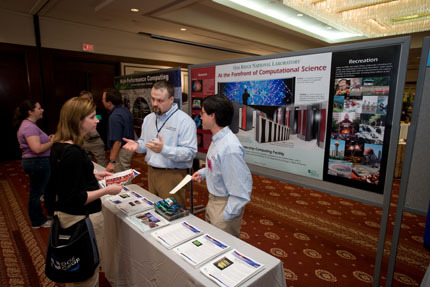 Each of the centers/institutions had a 4x8 booth with their information on them, and a small table. The objective was to get engaging photos of the students being engaged. 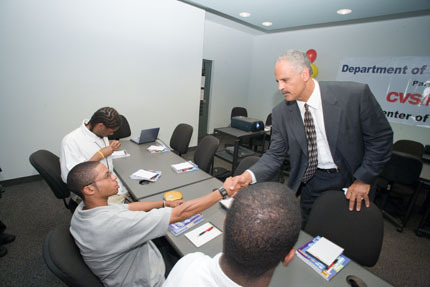 CONCEPT/OBJECTIVE: The assignment was the documentation of a visit by Oprah Winfrey’s “boyfriend”, Stedman Graham, to an inner city youth program. 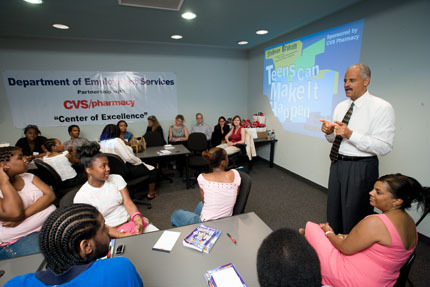 It was important to show Stedman engaged with the community, and students. PRE-PRODUCTION: This type of assignment is fairly typical, and you just don’t know what equipment will be called for, beyond a standard lens/camera kit. The shoot was very much a reportage style assignment. 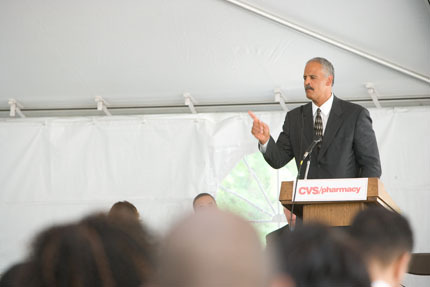 THE ASSIGNMENT: Everyone was in their Sunday best, awaiting Stedman, depsite it being a hot Thursday in Washington DC. A tent covered the dais where the speeches would be given, but the best images would come from the classroom inside, where Stedman would engage the students. We weren’t staying for the his entire meeting with the youth, only the first few minutes, so getting engaging images fast was key. Mixing that, with the fact that his program was being projected on a white wall, and we had to bounce off odd walls to get Stedman lit , and rely on the falloff factor to ensure that the wall projection remained visible. The only real time that he engaged the students directly, was when he came in, and shook everyone’s hands. Knowing that this was going to happen beforehand, and pre-lensing and testing the strobes off the wall was key to getting it right. POST-PRODUCTION: Immediately follwing the event, we had to deliver several images, properly captioned, with client approval, to the news media, and having a digital workstation on hand to facilitate that was key. FINAL ANALYSIS: Stedman was a great subject. I wish there was more signage in the images of the handshake, and when he was addressing the audience, but wherever possible, we included those in the images.